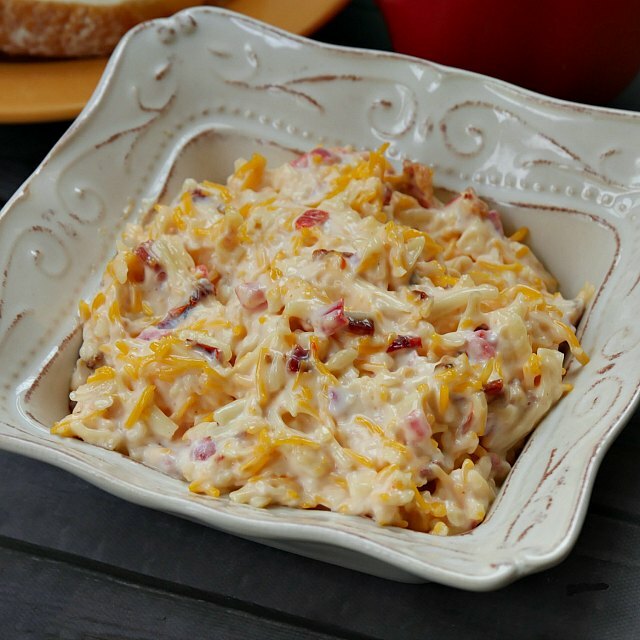 Pimento cheese spread gets a little smoke and spice with the addition of bacon and chipotle peppers in adobo sauce. 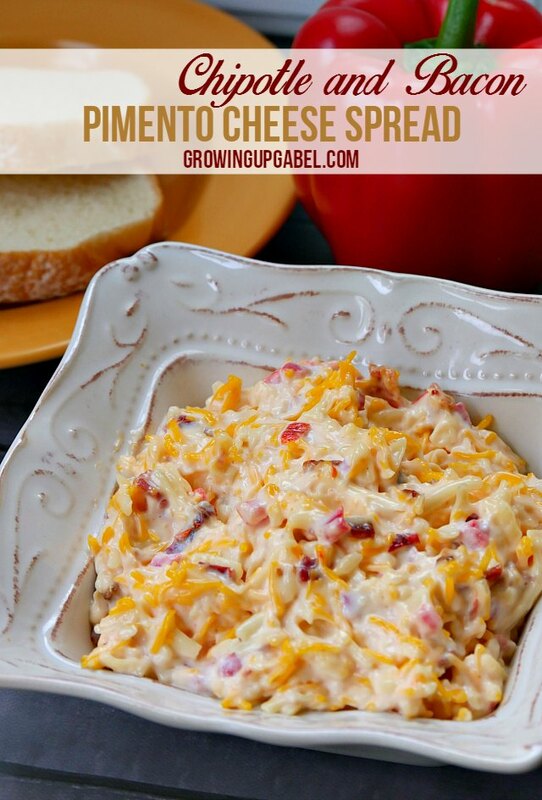 I first heard of pimento cheese spread a few years ago on another blog. If I remember correctly, pimento cheese spread is a southern recipe. I'd never even heard of it and was completely intrigued by it. It looked like a dip to me, but every recipe I saw used it as a sandwich. So of course, I had to make it and see what all the southern fuss was about. 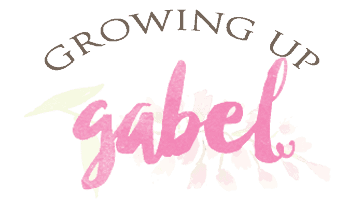 And I also needed to add my own little twist. Pimento cheese spread is made with mayo, cheese and pimentos. Sounds good, but I knew it could get better. So I decided it definitely need bacon. No brainer. Then I saw a recipe that called for using chipotle peppers in adobo sauce in the mix. I had no idea what those were but I was able to find a can of them in the latino food section of Walmart. 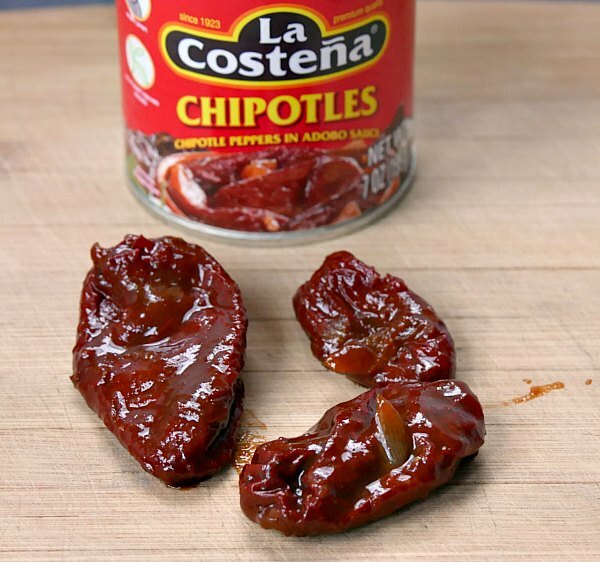 Chipotle peppers in adobo sauce are jalapeno peppers that have been smoked and dried and then re-hydrated. 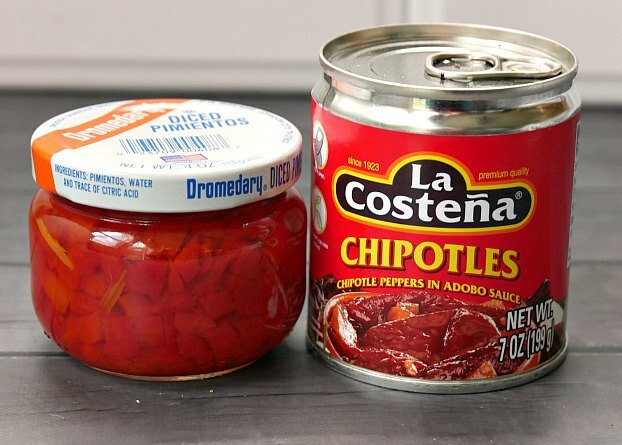 The peppers are then canned in a tomato, vinegar, onion sauce. 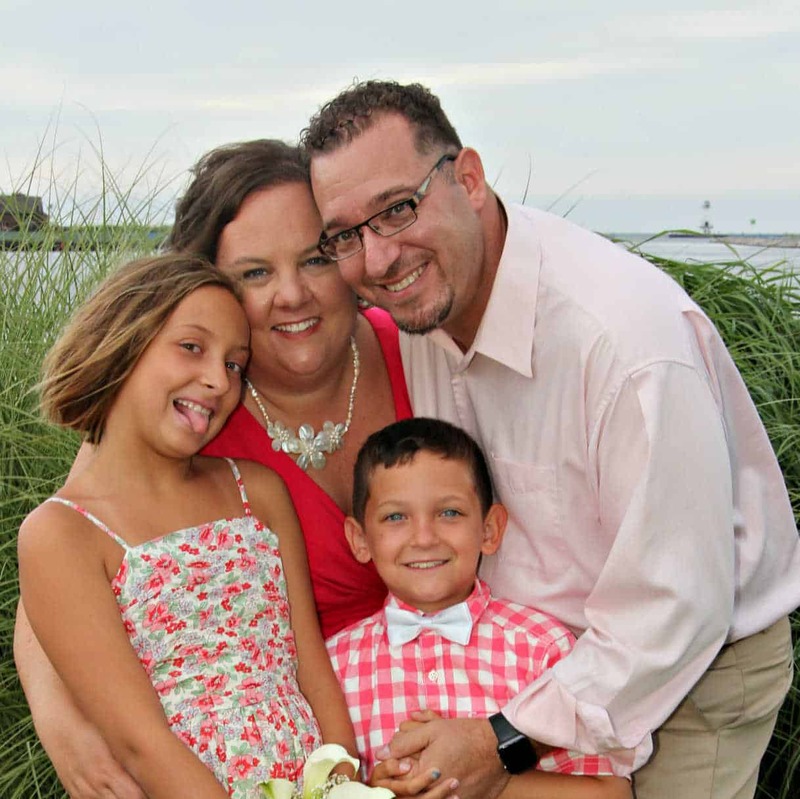 They are absolutely amazing. They taste smokey and spicy. I make sure to remove the seeds when using them to reduce the spice, but if you like things hot, just leave the seeds in. 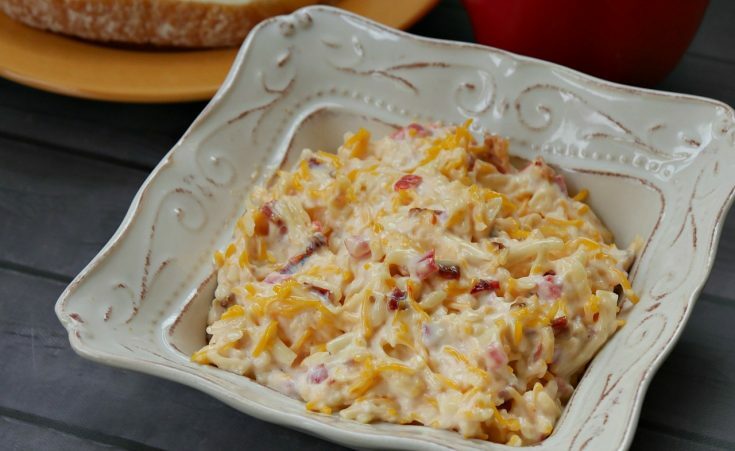 Pimento cheese spread is easy to make. Just mix all the ingredients together and then let the spread rest to allow the flavors to meld. The spread is traditionally spread on white bread to make pimento cheese sandwiches, but I prefer to use it in a gourmet grilled cheese sandwich. Combine all ingredients in a medium bowl and stir to mix. Cover and refrigerate for at least a few hours, but preferably overnight, before serving. Use as a dip or in sandwiches.